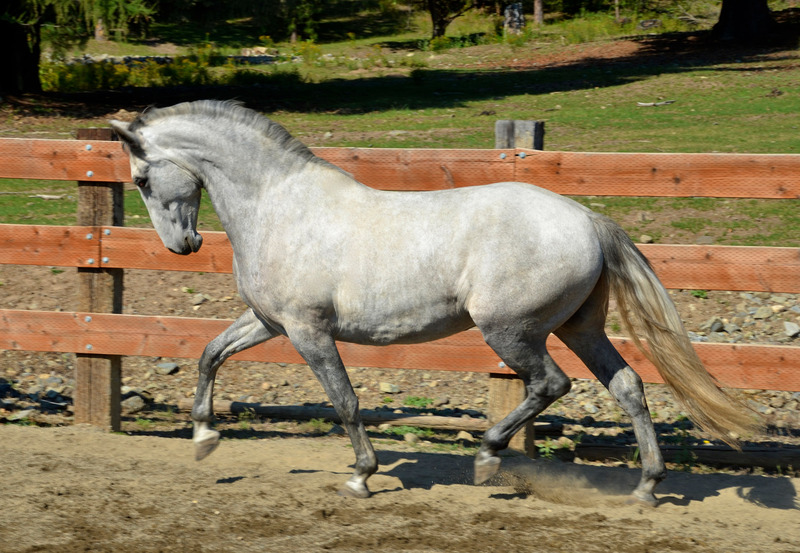 Grey 2009 PRE Gelding by the imported PRE Maipe Stallion, Competidor XIII ( Jackass Mountain Ranch), out of our PRE mare, Wenatchee. 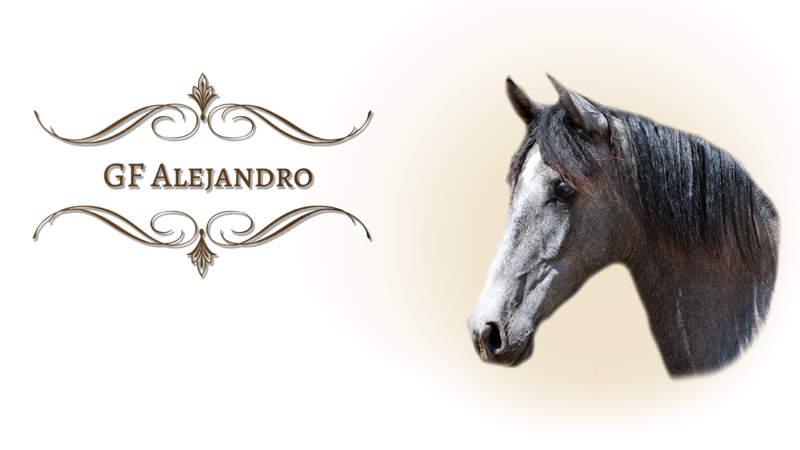 Alejandro is proving to have his sires exceptional movement, his dams calm willing temperament, and an engaging personality that is fun and easy to work with. He is a very intelligent, thinking horse that we believe will be a great student in the training arena. Alejandro has excellent bone and muscle mass. His conformation seems to indicate that he will be a very tall and elegant horse. He is wonderfully expressive with a very striking presence. He appears to have all the ingredients for a great riding and competition horse.